What’s the Problem with the Boeing 787 Dreamliners? Airlines across the globe have grounded their fleets of Boeing 787 “Dreamliners” over safety concerns after a string of recent incidents from fuel leaks to electrical fires. The US Federal Aviation Authority (FAA) issued a directive to temporarily take the planes out of service while safety checks were carried out, and European regulators have followed suit and called for the planes to be grounded whilst investigations are ongoing. Boeing have said that they are confident that the aircraft, which have only been in service since late 2011, are safe. The investigations come after a number of issues erupting with the plane in recent weeks, which include fuel leaks, a cracked cockpit window, brake problems, an electrical fire, but most worrisomely battery problems. 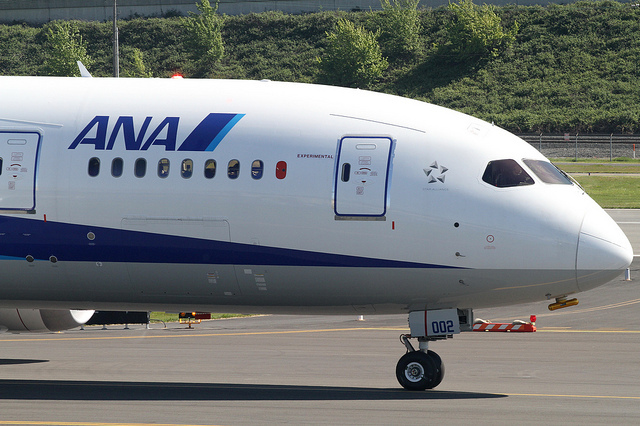 The reported battery malfunction occurred on a Japanese All Nipon Airways (ANA) Dreamliner, which resulted in the airline to ground all 17 of its 787s, with Japan Airlines (JAL) rapidly following. This is the “second incident involving a lithium ion battery” according to the FAA, with the previous malfunction occurring on the ground in Boston on 7th January. On Wednesday, an All Nippon Airways (ANA) flight made an emergency landing because of a battery malfunction. That caused it to ground all 21 of its Dreamliners and Japan Airways followed suit. The FAA then issued its directive and alerted the international aviation community, which the European Aviation Safety Agency endorsed this morning. Currently only Ethiopian Airlines are still flying the model. Lithium-ion batteries used in the 787, often referred to as Li-ion, are the same technology of battery found in modern smartphones, laptops, and other consumer electrical equipment. It is one of the best energy storage options currently available, and has the benefit of it being possible to mould them into various shapes, which is why it is used in smartphones and also in modern aircraft where space is at a premium. We have seen issues with Li-ion batteries in phones and laptops smoking and setting alight in recent years, notably resulting with Sony recalling a number of laptop models back in 2006. The reason that these battery failures occur is due to the chemical nature of the lithium-ion, which can be prone to “thermal runaway”. This means that once a battery reaches a certain temperature then it can start a feedback loop with potentially disastrous results. It is currently unknown exactly what caused the recent two battery incidents on the Dreamliners, and they may have been down to the plane’s wiring, charging, or electrical systems – but the results were the same, and this is a possible safety hazard.